Your teeth? Who can tell? When you look at some people with dentures, you can tell those aren’t their real teeth. Sometimes the tops of the dentures are not in line with the rest of the teeth. Sometimes, the denture clicks, or you see the person moving their teeth around. Sometimes they are too perfect and white and even to be real teeth in a person that age. Now you need to replace some teeth. How are you going to do it? Are you going to go down the denture route? Or maybe you are thinking about fixed bridgework? Or perhaps you are more inclined toward dental implants. All 3 methods of replacing teeth have their pros and cons, but, when it comes to looking after the rest of your teeth and the health of your jaws and gums, at Orpington Dental Care in Orpington, we think that dental implants tick more boxes. One of the things that ages people is a shrunken jawbone. The bone loses size and density, and, eventually the chin seems to be closer to the tip of the nose. This is what people draw when they want to do cartoons of witches: the big nose, the pointy chin. It’s not actually old age that causes that look, it’s lack of teeth. Without your teeth, your jawbone starts to dissolve itself, thinking it is no longer needed because there are no vibrations coming down through the roots to tell it otherwise. Dental implants are the only way to replace lost tooth roots and prevent this from happening. It’s not a good idea to live with gaps for too long as the surrounding teeth can start to tip into the gap and eventually fall out. However, if you replace the lost teeth with fixed bridgework, it will require the loss of 2 more teeth, one on either side of the gap. These have to be ground down into pegs onto which buttress crowns for the bridge are fitted. With dental implants, the crowns are anchored into the jaw on their own posts, so there’s no need to sacrifice healthy teeth. To find out more, why not come in for a consultation? This entry was posted in Dental Implants on 4th April, 2019 by Orpington Dental Care. If you had a fair few fillings when you were a kid, and let’s face it, not many of us didn’t, then you can feel like your amalgam fillings never quite let you forget about all those sugary snacks and drinks you had, and all that toothbrushing you skipped. Lugging around your amalgam fillings is like lugging around the evidence of a misspent youth that everyone gets to see every time you open your mouth to have a good yawn or a big loud laugh. Thankfully, when it comes to advances in general dentistry, one of the most important, as far as patients are concerned, is the advent of white fillings. White fillings have been around for a quite a while now. When they first became available, the materials weren’t all that strong and it wasn’t uncommon for people to have to get them replaced every few years, especially if they ground their teeth at night. Now, however, the white fillings we offer at Orpington Dental Practice in Orpington are much stronger and therefore last a lot longer. White fillings are made of composite resin, which is a mixture of glass and plastic. They go in differently from amalgam fillings. We put the composite resin in in layers and after each layer, we use a UV light to harden, or cure, it. It can take several layers of composite resin to fill a cavity, and when we have, the filling will come level with the top of the tooth. What we do then is use tools to sculpt and shape the composite resin as we recreate the chewing surfaces of your teeth. Between each shaping attempt, we get you to bite down on a piece of blue marker paper so we can see where we need to remove a bit more resin. Getting white fillings takes longer than getting amalgam fillings, but the end result is something that looks just like your tooth. Now when you laugh or yawn, no one will be able to look into your mouth and see that you were ever anything but a saint with the toothbrush and the sweets. This entry was posted in General Dentistry on 7th March, 2019 by Orpington Dental Care. The trouble with winter in the UK is that it seems to go forever. Short, dull days interspersed with long, dark nights. We eat heavier comfort foods in an effort to feel snug and it’s no wonder that along with all those stews and heavy puds, our consumption of comforting hot drinks, such as tea and coffee, and hearty red wines can go through the roof. Come the spring, you can be forgiven if your teeth are showing the stains of all those mulled spicy drinks, those hot berry-apple crumbles, those heavy tomato-based stews. All these things leave tiny traces of themselves as surface stains on your tooth enamel. Your teeth look duller and your smile looks older. You may not even want to smile so much. But don’t shy away from a good smile, just get the stains removed with safe teeth whitening treatments from us at Orpington Dental Care in Orpington. We have 2 ways that you can whiten your teeth. You can either come in and we can carry out the treatment for you, or you can do it yourself at home. Both methods have different advantages, and with both you can choose how white you want your teeth to be. The advantage of in-clinic whitening is that it’s done in around about an hour. You can pop in during your lunch hour, or get it done after work. You relax while we protect your soft mouth parts (lips and gums) with a plastic barrier and paint your teeth with whitening gel. In around an hour, your teeth will be several shades lighter and you can get on with your day. That’s all there is to it. This is a great treatment if you need to look your best for an important event that is happening very shortly. For this, you get a pack containing a weaker concentrate of gel, along with 2 gel trays that have been made from impressions of your teeth so that they fit you exactly. It takes about 2 weeks of wearing the trays each day to reach the shade you want. And you can buy more gel every time you need a top-up treatment. This entry was posted in Teeth Whitening on 6th February, 2019 by Orpington Dental Care. We know we bang on about dental hygiene all the time, on our website, our social media and, of course, when you come to see us, but it’s because dental hygiene is the foundation of your oral health. We find that repetition is key to the message of the importance of dental hygiene sinking in and being put into action. So at the risk of repeating ourselves, yet again, let’s take another look at why cleaning your teeth is so important and how to do it. When you clean your teeth, what you are aiming to do is brush away the bacterial plaque that builds up on your teeth, gums and soft parts of your mouth. Plaque never stops feeding on the sugars in your saliva and using that energy to reproduce itself. It’s a busy bacterium, and as it goes about eating and making little copies of itself, it also gives off acids. The acid is the problem, not the bacteria in themselves. It eats away at your tooth enamel, creating little holes for decay causing bacteria to get into your teeth. Those acids also irritate and inflame your gums, causing them to bleed and pull away from your teeth. Plaque can then get underneath and start corroding your tooth roots and jawbone. Whether it’s gum disease or tooth decay, the final end is your teeth falling out. You need to brush your teeth twice a day for 2 minutes. The best thing to do is get a soft-bristled brush, and gently brush the plaque away. If you have a new electric toothbrush, it can count down those 2 minutes in 30 second increments, making sure you brush each half of each arch thoroughly before moving onto the next. Using a fluoride toothpaste helps to strengthen the teeth against decay. Back this up with flossing and interdental brushes to remove plaque and trapped food from between the teeth. Do this at least once a day. And don’t forget to come to our hygienist twice a day for a deep clean to remove plaque from all those places your brush doesn’t reach so well. This entry was posted in Dental Hygiene on 3rd January, 2019 by Orpington Dental Care. Did you know your dentist and your dental surgery can offer you so much more than just looking after your teeth and gums? At Orpington Dental Care, we take your oral health seriously and for this reason we offer additional services that ensure you and your family are taken care of. Most people are aware of the link between smoking and cancer, and because of the increase in mouth cancer incidents we offer you information and support as you cut down or stop smoking altogether. The chemicals in cigarettes damage the health of your teeth and gums in many ways. Smoking actually damages the cells of your gums making them prone to infections and diseases. Without healthy gums your teeth are undermined, leading to the possibility of tooth loss and decay. In addition, the nicotine and tar in your cigarettes stain your teeth and cause bad breath, and can also lead to jawbone loss, shrinking gums, mouth sores, decreased sense of taste and smell and poor healing of your mouth. Overall, smoking’s not great for your health and is one of the key indicators for cancer. In Orpington, mouth cancer screening is available to you and your family. We offer a yearly screening for mouth cancer for all our patients. If you have or are giving up smoking, it’s vital that you attend your screening and ensure that the health of your mouth and gums are normal. When you attend your screening, your dentist will give a thorough examination of your mouth, throat and around your tongue. Using a handheld device, they will assess your health and look out for any abnormalities, so we can then provide you with swift treatment or refer you on if this is needed. You can ask Dr Loubser any questions about smoking cessation and your yearly mouth cancer screening. She is dedicated to your oral health and ensuring all our patients receive the best dental care. If you would like to discuss any issues raised in this blog, call our reception for an appointment. At Orpington Dental Care you don’t have to worry, we put you at the centre of our practice. This entry was posted in Mouth Cancer Screening on 6th November, 2018 by Orpington Dental Care. If you’d like to straighten your teeth, Invisalign braces in Orpington are easy to use and manage, have short treatment times and are very discreet. Think you’ll have to be able to remove your braces sometimes? Invisalign gives you that option. This is a teeth-straightening system made to fit your lifestyle. Does the idea of wearing metal braces make you cringe? Traditional metal braces do a great job, but their appearance isn’t great. Many people would prefer not to straighten their teeth at all when faced with metal braces as the only option. This is one reason why Invisalign aligners are so popular. They are made of a discreet transparent plastic. Do you want to be able to make your teeth straighter without anyone noticing? The transparent plastic used for Invisalign braces in Orpington is thin. The aligners are almost invisible once you’ve put them over your teeth. This means you can wear them out in public and nobody will be able to see your braces. Great news for adults who don’t feel comfortable with wearing obtrusive train track braces for months or years on end. Invisalign braces offer a truly modern way to straighten your teeth. The advanced technology behind the Invisalign aligner system means your teeth can be straightened in a relatively short time when compared to traditional braces. You can expect to wear your aligners for around a year. Everyone is different, so your treatment may take a shorter or longer time, depending on your tooth straightening needs. Want to know how Invisalign works? The custom-made aligners fit over your teeth. You’ll have a series of aligners to wear throughout your treatment. Each set in the series should be worn for 7-10 days. They must be worn in the right order. The aligners move your teeth by applying pressure to them. When you follow the instructions your dentist gives you, and wear the aligners for 22 hours per day, you will have a beautifully straight smile at the end of your treatment. 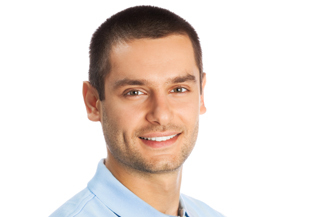 Interested in Invisalign braces in Orpington? Give us a call at Orpington Dental Care to find out more. This entry was posted in Braces on 24th September, 2018 by Orpington Dental Care. At Orpington Dental Care, we are all about the smiles. We do all we can to help you maintain a healthy, happy smile for life. There are many ways we do this, including our preventive treatments, such as scale and polish cleaning and mouth cancer screening. Another way we help you keep your teeth for life is with braces in Orpington. Although many people associate braces with cosmetics, especially for adult patients, teeth straightening also creates healthier teeth that have an increased chance of lasting longer. Straighter teeth are easier to clean. With fewer irregular gaps in between teeth, such as you find with crooked, crowded and gapped ones, it’s easier for brush and floss to do their work. And, it also means that there are fewer nooks and crannies for plaque and bacteria to build up in, meaning you are less likely to develop tooth decay and need extensive and expensive tooth repairs and restorations later in life. So, while you many need to wear braces in Orpington for up to 18 months, it really is a short-term pain for long-term gain. 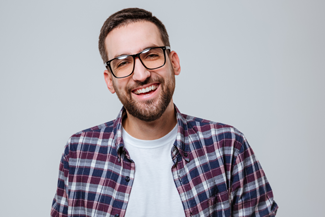 To make this process a little easier, we offer two types of discreet braces in Orpington: Six Month Smiles and Invisalign. Six Month Smiles use brackets and wires to pull the front 6-8 teeth into position. However, unlike their traditional metal counterparts, Six Month Smiles braces are made from tooth-coloured and ceramic materials, meaning that they blend into the teeth, rather than stand out from them. And, as they name suggests, they do the job quickly. Treatment takes 4-9 months, depending on the severity of the misalignment. Invisalign is even more discreet. These clear, plastic aligners are near invisible. They are like thin mouth guards, and only a close friend or a dental professional would be able to spot them once in place on the teeth. Invisalign can deal with more extensive misalignments, across the whole set of teeth. Accordingly, treatment takes longer, 12-18 months on average. After both procedures it is necessary to wear a retainer to keep the teeth in their new positions. A small price to pay for a happier and healthier smile. This entry was posted in Braces on 17th September, 2018 by Orpington Dental Care. Are you one of the many adults in the UK who experiences dental phobia? The sinister dentist with their scary set of drills may be a common joke, but it hides an issue that affects a huge number of dental patients. Dental phobia ranges from a reluctance to book an appointment to a full-blown panic attack when sitting in the dentist’s chair. If you are somewhere on this spectrum, then maintaining your teeth is no laughing matter. It could mean that you haven’t had your teeth checked for years, which in turn makes it more likely that you will need work done. If, when you do bring yourself to the dental practice it turns out you need a tooth replacing with, for example, dental implant surgery, that’s only going to send your phobia back into the stratosphere. So, what’s the answer? Well, first, we want you to know that here at Orpington Dental Care, we don’t judge anyone for the state of their teeth. We are well aware of how many people experience dental phobia, and, however long it’s been since you saw a dentist, we will welcome you in a warm and friendly way and listen to your questions and concerns. If it turns out that you do need a treatment such as dental implants in Orpington, our highly experienced implant dentist will talk you through each stage of the procedure step-by-step. We’ll provide you with a detailed treatment plan before you agree to go ahead with any work, including all costs, so you can make an informed choice. We also offer conscious sedation for nervous patients. This isn’t instead of anaesthetic: it’s an additional medication that helps to calm the nerves. It can be taken through inhaling a gas, or by injection, whichever you prefer. It works instantly, and you will remain awake but relaxed throughout the procedure. You may feel drowsy afterwards, so it’s a good idea to ask a friend to drive you home. 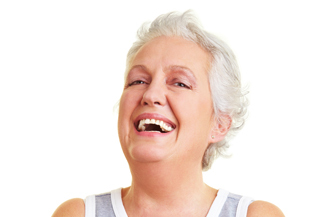 Don’t let fear of the dentist put you off having dental implants in Orpington. Talk to our implant dentist today about how we can make the treatment as smooth and easy as possible. This entry was posted in Dental Implants on 10th September, 2018 by Orpington Dental Care.